Being the massive candle lover that I am I was so happy to receive this amazing melt holder and lots and lots of wax melts! 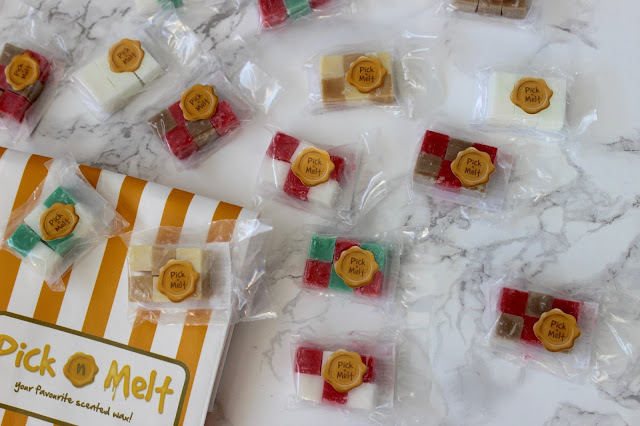 Pick n Melt is a brand I hadn't previously heard of but definitely one I won't be forgetting. Selling a range of different wax melts, candles, tea lights and holders if you love candles you'll love flicking through their website. First of all I love the packaging with the pick and mix feel its so cute and well thought out. The wax melt holder is quite big meaning you can put a lot of melts in the top to get quite a strong scent which is great. I received lots of different christmas scents ( I know I'm a bit late sorry) which all smelt amazing. I love that they come in little cubes so you can easily mix scents and pick and choose how much you would like to put in with ease. 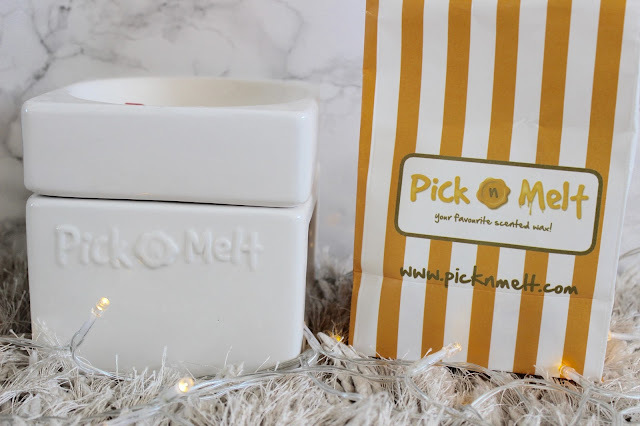 Pick n Melt also have two different subscription packaging were you pay a certain amount each month and receive a range of different wax scents as well as a pick and mix burner to melt them in! 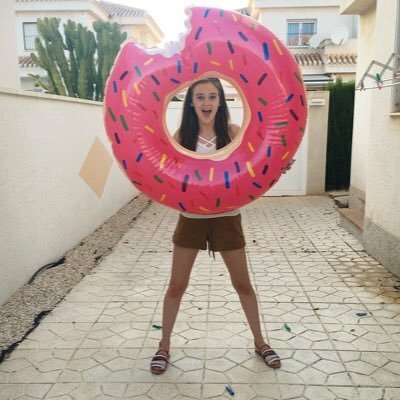 I would 100% recommend giving some of their products a try, you won't be disappointed!